Excellent prompt service from team at East Kilbride depot. Great service from my initial phone call to getting the work done, brakes and MOT done with no fuss. Excellent and efficient staff, especially Andy. Prompt, efficient and exellent mechanical service from very pleasant staff. I’ve used national tyres for years and have never been disappointed with the overall service provided. My family (children) now use National tyres too. My car failed it's MOT on 31st August 2016. It needed 2 new wishbones and wheel alignment at a cost of £474. This year on 12th September 2017 it failed again. It needed 1 new wishbone and wheel alignment. I find it odd that it needed replaced again after only 1 year and 12 days and only 5913 miles. I am not happy about the situation especially when I have been driving more carefully after paying so much money the previous year. I experienced a professional, fast and friendly service from the Tyre Fitter in the East Kilbride Branch. The Tyre Fitter Damian Hunter is a credit to your company and answered all my questions with enthusiasm and true professionalism. His knowledge is superb and he also gave me some sound advice with regards to the wheel dust caps that I was currently using. I booked the service online and was very impressed with how easy it was in doing so. I have been using National Tyres in East Kilbride for a good number of years. Knowledgable, friendly, attentive staff. Prompt service. Friendly staff and good advise on car given. excellent service from professional friendly staff. Keen prices. Friendly service and good pricing. Excellent service from local branch. knowledge of staff.politeness.helpful.accommodating.excellent customer services. Excellent service from friendly staff. Price, easy location, confidence in the service provided. Excellent service from knowledge and very friendly staff. good price of tyres, professional fitters, friendly staff, quick . I'll certainly recommend and will use again. Satisfied with all aspects - kept informed of the progress. I have used TyreShopper and National for many years now and have received nothing but exceptional service. Local depot.,excellent service from very helpful and pleasant staff. Very happy with the price and advice given. Excellent and prompt service from a very professional and pleasant group of employees. Staff very helpful and informative. Excellent price for an MOT. Just had my car in for a service and needed 3 new tyres. I was kept up to date with what was happening and what was required, Stuart and Ricky were really helpful. I've used the East Kilbride branch before today, and I will use it again. Just feel that people are too quick to highlight poor service, but I feel their service needs recognition. From making the appointment through to collecting the car, I was given smiles, (and they looked genuine too), and courtesy. Good location. Good price. Prompt service. absolutely superb service delivered at fantastic speed. Arrived at depot 0840 prompt attention from pleasant member of staff. Work carried out and car ready for collection a short within the hour. Very quick on a very cold afternoon, staff were very pleasant. Excellent service from very friendly staff. Good prices. Both Ricky and Stuart were helpful when I visited. I had spoken to Ricky on the phone before I went in. I ordered tyres thru tyreshopper and went to national tyres to get them fitted but I had ordered the wrong , these guys sorted and offered me tyres thru national tyres, a little bit more expensive but we'll worth the effort these guys went to . Have used National in East Kilbride for years and have always found the boys in there very polite, helpfull and honest. They do not try to sell you something that is not required. Pleasant staff, good service and keen price. Very helpful staff & in particular the branch manager Craig Donnelly was excellent at going through what was required. The work was carried out promptly. Greeted promptly on arrival at depot at opening time. Work started immediately. Friendly and efficient service from the staff. Excellent, friendly and efficient service from Craig and staff at the East Kilbride depot. Excellent turn-around service from East Kilbride on fitting two new tyres. Very helpful staff as well. Helpful pleasant staff. Good price. Low waiting time. Prompt and courteous service. Care shown for vehicle. Very helpful friendly staff. Accurate diagnosis of fault. Same day repair and return of car. Good price with discount vouchers. Best price brand tyres. Additionally, the customer service I received from Gary Lennox was first class, very knowledgable and friendly. Excellent service from friendly staff at the East Kilbride depot. Very prompt and efficent service. Excellent helpful service both on 'phone and in-house. Very quick turn-around too! Pleasant, knowledgable, prompt and efficient. The staff were very helpful and efficient, and carried out the tyre fitting on time and speedily. Warmly welcomed by manager on arrival at depot.Price of work confirmed. Service carried out professionally. Car collected early afternoon and left a happy customer. Staff were very courteous and helpful. You always felt that they were there to help you, give best advice and explained what type of tyre was best suited for your type of driving - and pocket. They were also forthcoming in what best deals were available. I'd have no hesitation in recommending Nat.Tyres to others. There are cheaper tyres offers available elewhere but Nat.Tyres discounts make them every bit as competetive. I received a very good M.O.T the staff were friendly and told me exactly What it had failed on. Your quote to fix was not competitive at all. But the staff were really helpful. Good prompt service. I felt that the advice I was given was good and explained well. The price for my tyre was also very competative compared other garages. The cost was explained to me before, and the work was carried out properly. My tyre was fitted in a quick and proffessional manner, it was also the best price I could find for they tyre. Fast efficient service. 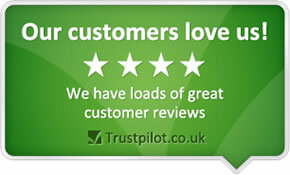 Very helpful and seem to offer genuine help and advice rather than being out to simply make money from their customers. I have always found the service provided by the local guys in East Kilbride to be superb, although I was spending money this time, I have had help, guidance and work done free of charge by them when there has been a minor issue with either of our cars, can't fault them. Fast , friendly, professional service - products available when I wanted them. the guys were very helpful, even trying to save me money. they didnt treat me like an idiot even though i dont know a lot about cars.such a friendly lot even though it was a wet monday morning. Excellent service. Very helpful staff, giving sensible advice. Also good range of prices to suit budget. Great service from my enquiry with Craig about tyres, to the attention from Kevin, East Kilbride Branch manager, when they fitted two tyres, one of which was shipped in from Gateshead. Very helpfull, can do staff. Excellent prompt service from staff members with very good customer contact skills. When I rang and spoke to the manager he was very helpful and clear about what tyre I needed and when I turned up, whilst I did have a little wait they were all most curtious and apologetic for my delay but once it was my turn they did the job very quickly and efficiently. Excellent value for money. fantastic friendly service was very impressed and put at ease about the work needed. also the guy who helped me (Kevin Gallacher) advised me about the tred on my tyres and that the front 2 would need replaced soon. I have taken my car to other garages before coming to yours who didnt pick up on this so that impressed me even more than the price.